Every now and then, in my children’s swimming classes I get a tumbler. 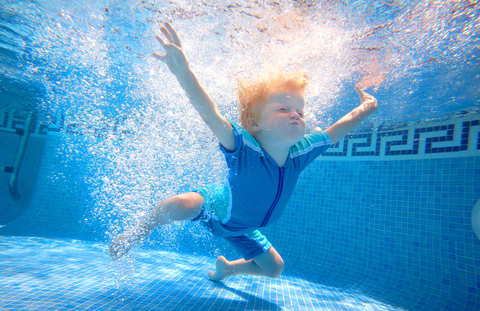 By this I mean a child who seems to so delight in the freedom and weightlessness of being in the water that they just tumble about, twisting and turning, looping the loop and turning somersaults. These children do not mind at all being right under the water, and they do not mind that where I teach they can’t put their feet on the bottom. They seem to trust me to catch them in time for them to take a breath every now and again. Sometimes they hold their noses, sometimes they have goggles, but sometimes they seem to manage without either. Eventually, having fully explored the watery environment, and if you don’t bother them too much, they straighten out and start to swim along in a more conventional fashion.